CES is technically half over at the time of writing and today found me visiting AblePlanet for a look at their new headphones. 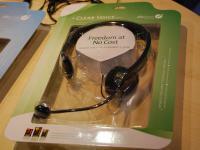 We've reviewed the NC500LC, NC500SC and NC1000CH active noise canceling headphones. This year they are launching a few more products including the on-ear NC600 Clear Harmony headphones that feature SRS Surround as well as a foldable NC200 Clear Harmony headphone that is a little more travel friendly than their earlier models. 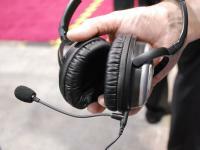 Able Planet also has a growing line of smaller gaming headsets and the ability to take one of their flagship NC500 series headphones and turn it into a headset by simply adding a small boom microphone. 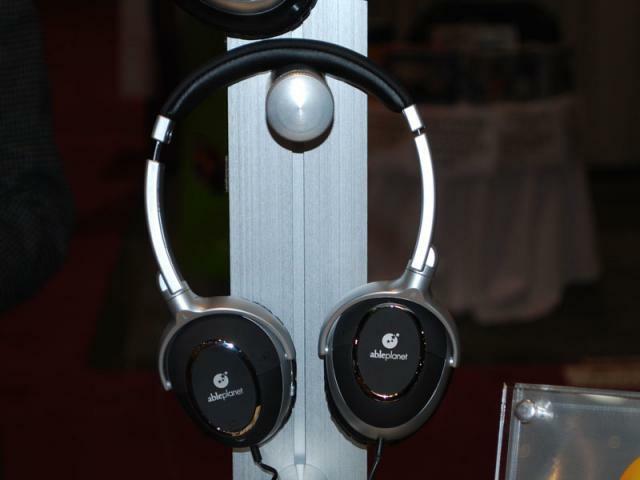 The beauty of this is that the microphone features noise cancellation technology and is flexible. In addition to these products AblePlanet is currently working on some custom fit earbuds that will be manually adjustable for a perfect fit in the user's ear. In addition to that they intend to work on wireless earbuds that also feature active noise cancellation technology. Some of these products will be available later this year. After a walk through Caesars Palace we arrived at the Vision Quest suite. For those of you that haven't heard of Vision Quest, please take a look their site. They are a Canadian company that specializes in home entertainment products that include TVs, LCD computer displays, Blu-Ray players, photo frames and even mini-shelf systems. 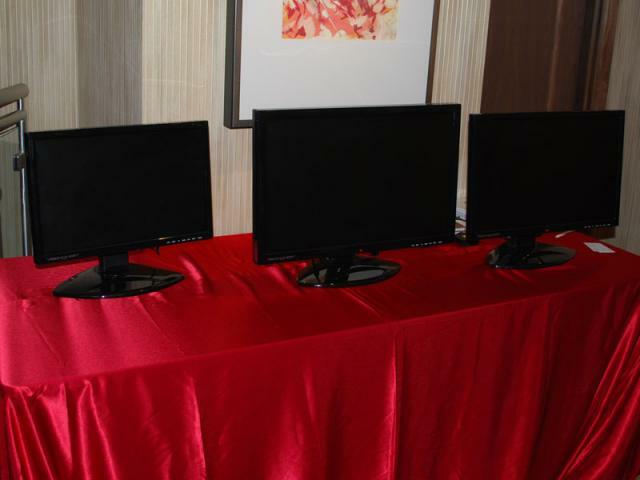 Their LCD lineup includes models from 19" to 26" models at 1280x1024 to 1920x1200 respectively. All of their LCD display specs look pretty bland, but it's the price that is the attractive point - you can get a 24" LCD with 1920x1200 with 2-Analog D-Sub, and 1-DVI-D for under $300CAD (~250USD). That's an incredible price for a 24" LCD. 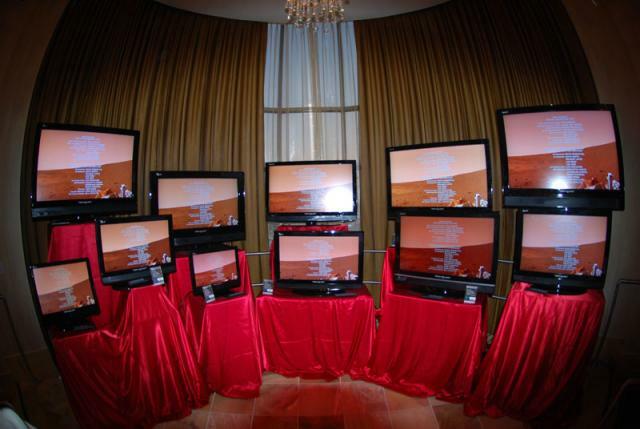 Vision Quest's big item is TV's though and they have Plasma EDTV, HDTV and LCD HDTVs. They are priced very competitively and they have sizes ranging from 19" to 52" units that are soon to be released. The features and specs of these TV's are also pretty basic, but once again the price point and 2-year warranty on the Rembrandt line makes it quite attractive. The other product that I found particularly interesting was their mini-shelf system that includes DVD playback capability as well as a 7" LCD screen. This unit would be perfect for a student in a small dorm room or a kid's room. 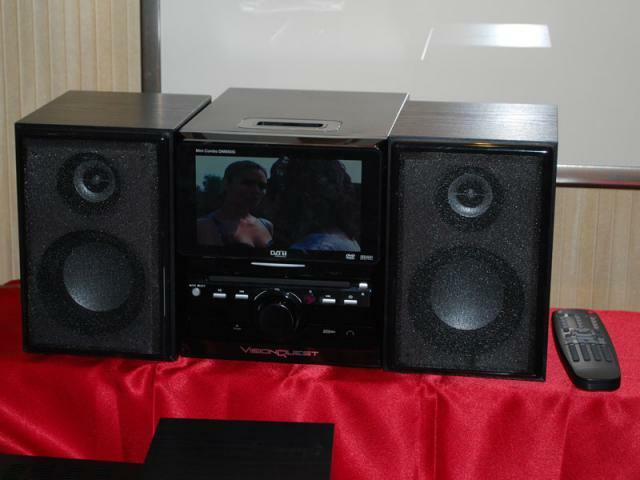 It also has an iPod dock and pretty decent sound for a low-cost mini system. With Day 2 at CES wrapped up and another couple more days to go, there is still lots to see. Make sure you check out the other gallery pictures here.